Paul Franklin, co-founder of Double Negative (one of London's most prestigious post houses), is offering a full fee scholarship to a talented student to help them realise their dreams of becoming a VFX professional. 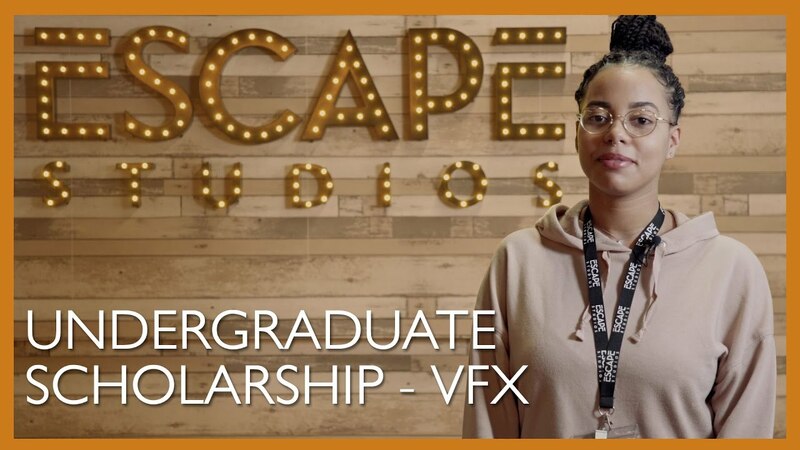 If you’re passionate about working in the industry this scholarship will help you fund your studies at Escape Studios (Europe’s premier visual effects academy) and launch your career in the creative industries. This is a unique opportunity to have your tuition fees paid in full! The recipient will receive their tuition fees paid in full for the duration of their programme (up to four years). If you meet the entry criteria for the degree, you will be invited to attend a Creative Workshop at Escape Studios. All visual effects applicants will be considered for the Paul Franklin scholarship. Based on students’ performance at the Creative Workshop three students will be shortlisted and one student will be selected to receive the Scholarship. Note: You must attend a Creative Workshop to be considered. The Scholarship is only open to students who apply for the BA/MArt (Hons) The Art of Visual Effects degree taught at Escape Studios, part of Pearson College London. Students can apply for the three-year programme or the four-year integrated masters. One candidate will be selected based on their performance at the Creative Workshop including creative portfolio, interview and taking part in group tasks. Paul Franklin has worked on some of the most memorable and successful films of recent times, titles such as Interstellar, Inception, The Dark Knight, Batman Begins and Harry Potter and the Half Blood Prince. His work on Inception (2010) won the Academy Award for Best Visual Effects and the BAFTA Award for Best Special Visual Effects and he won a second Academy Award for Best Visual Effects for Interstellar (2014).